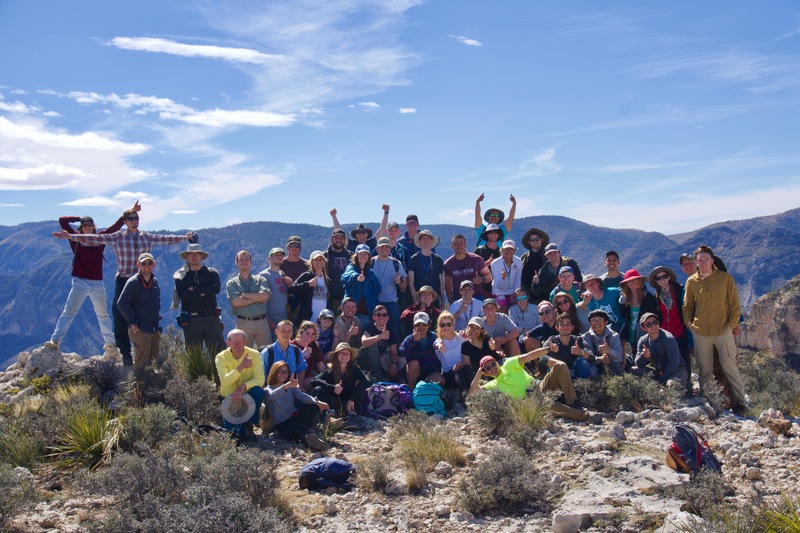 The Department of Geology and Geophysics has been actively engaging students in high-impact learning activities, such as offering field trips to a variety of locations – including West Texas, Washington, California, and Mexico. Check out the following trips hosted by the Department of Geology and Geophysics! Before the retirement of Dr. Michael Heaney, the field methods course traveled to Mason, Texas to complete their field exercises. With the new undergraduate curriculum in effect and under Dr. Michael Pope’s supervision (with the assistance of Dr. Nick Perez and Dr. Ryan Ewing), the revamped field methods course traveled off-campus this past spring break (March 10-18) to West Texas and parts of New Mexico. The objective of the new field methods course is to show students field techniques that are used to create geologic interpretations for a variety of geologic locations, as well as solidify students’ understanding of basic concepts in terms of field relationships. 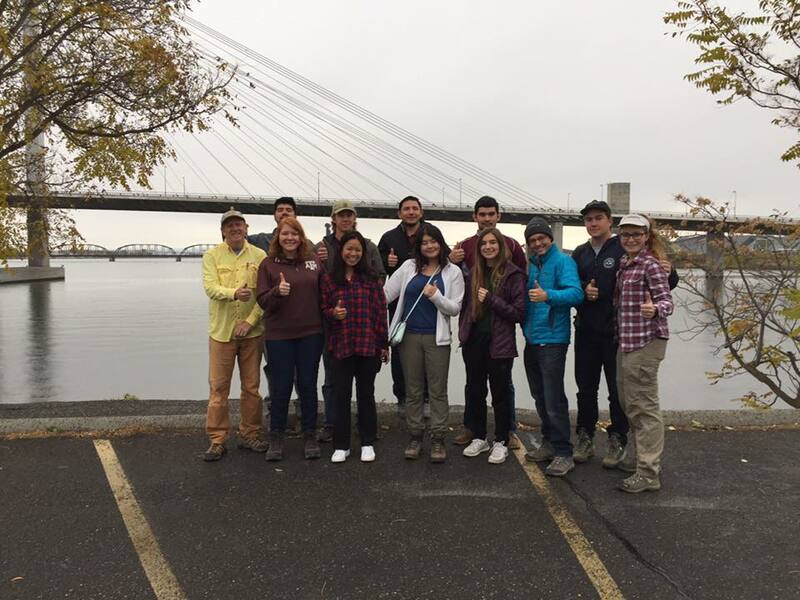 Students used the field data collected on this trip to assess quantitatively geologic map relationships using Geographic Informations Systems (GIS). Students completed various geologic maps, stratigraphic columns, cross-sections and geologic interpretations. Dr. Michael Pope led a trip to the state of Washington prior to the GSA conference in Seattle. Students learned the geologic history of the area to understand the formation of basins and depositional systems. The class completed research prior to the trip’s departure and presented poster projects during the trip to demonstrate their understanding of the geology. Dr. Michael Pope took students to Death Valley in California as part of the geologic field trips elective course. Students learned the geologic history of the area to understand the formation of basins and depositional systems, as well as to demonstrate their geologic field skills. Posters were completed prior to the trip and presented during the trip. In April, Dr. Peter Knappett led his graduate-level Field Methods in Hydrogeology course on a field trip touring the San Antonio Water System (SAWS). They visited a site where SAWS is extracting brackish groundwater and desalinating it for potable use. They also visited a site where SAWS is storing water from the Edwards Aquifer in a shallow section of the Carrizo-Wilcox Aquifer at the H2O Oaks Site – this is one of the first three Aquifer Storage and Recovery (ASR) systems in Texas! Students in this course learn how to apply various methods to characterize an aquifer’s productivity and vulnerability to surface contamination, as well as processing high frequency water levels using Matlab to characterize seasonal flow in a shallow aquifer adjacent to the Brazos River.